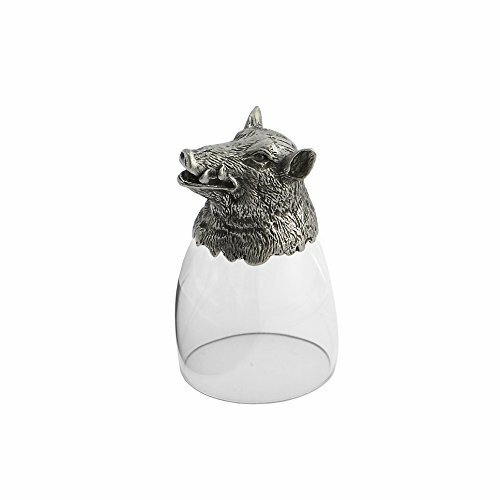 Sophisticated whimsy is perfectly portrayed in this Animale glass, which was inspired by pewter cups used to celebrate the hunt in ages passed. The base features an animal which stands proudly while not in use and sits securely to hold a favorite cocktail. Italian glass and pewter. Hand made in Italy. Hand wash only. If you have any questions about this product by Arte Italica, contact us by completing and submitting the form below. If you are looking for a specif part number, please include it with your message.